Keenan Lee Adams was born with a unique and wonderful talent: he has a culinary ability and palate that is finely tuned to the intense flavors and heat of capsaicin. Capsaicin — as you may know — is that natural, fiery, spicy compound that makes hot peppers hot. From an early age Keenan demonstrated a strong preference for foods that had some fire. If Gerber’s made strained jalapeños — he probably would have been eating it. By the time Keenan had reached the age of 9, he had acquired (primarily through shopping on web sites) a collection of hot sauces that was rapidly filling the Adams pantry and refrigerators. He had brands from every part of the world, made with every type of pepper, with a wide range of flavors and heat. He studied these hot sauces. Some were too mild to rate as “hot” sauce, and others were simply toxic and should have been used as a personal protection spray. His study time was every meal and snack period (other than breakfast — not recommended on Cheerios) because he had hot sauce with every food he would eat. A meal was not complete without a liberal dose of capsaicin delivered in the form of hot sauce. As the years and meals went by, Keenan developed a very sophisticated palate and understanding of different hot sauce styles and the nuances of the different peppers. From the humble jalapeño (8,000 Scoville Units) to the terrifying Bhut Jolokia (or “Ghost Chile”, at 1,100,000 Scoville Units), Keenan tasted and experimented with every sauce he could get his hands on. In 2004, his parents had a growing concern about where they could possibly store more hot sauces. His dad, having a culinary background, suggested that perhaps Keenan should try making some of his own hot sauce so it could perfectly meet his taste requirements and his finicky, fiery palate. Much discussion ensued. The attributes and benefits of different peppers were debated. Styles of hot sauce were measured and judged. A list of ingredients began to form. After more discussion and refinement, the ingredient list turned into a shopping list, and Keenan and his dad went to the grocery store to gather the makings of the first K-Sauce™. In the kitchen there was much chopping, blending, mixing, testing, tasting and gnashing of teeth. Failed attempts were not few, followed by remixing, retrying, reformulating. The ingredients, quantities and procedures were written down for each version; tested, tasted — and tasted again. 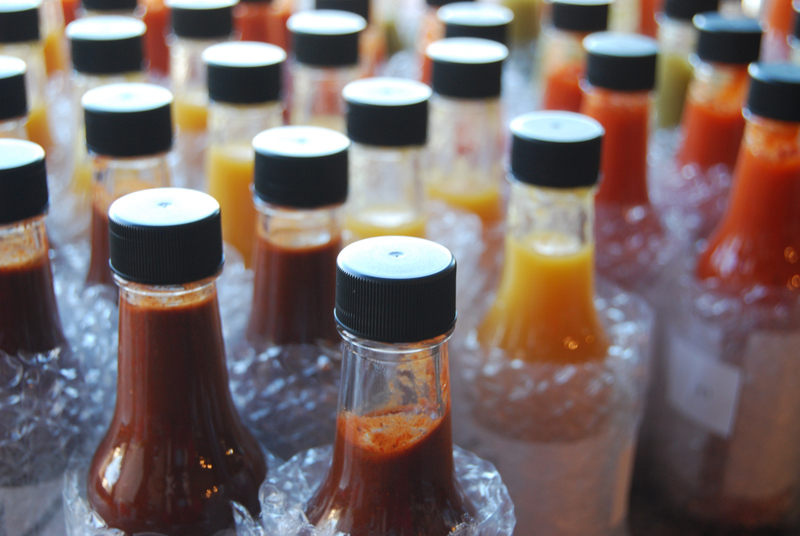 At the end of the process, a new category of hot sauces was founded. An annual tradition of developing new K-Sauces began. K-1™ was introduced in 2005, K-2™ in 2006... The tradition continued through the rare K-Q™ BBQ sauce, and finally, K-5™. By that time, calls for access to K-Sauce year-round became too loud, too frequent to ignore — and the commercial introduction of K-Sauce began. There are now fully six K-Sauces that are available at any time of year, each very unique and very different from other hot sauces on the market. The original recipes continue unchanged; the only difference is that the sauces are made in a certified commercial facility to ensure quality and consistency. While K-Q hasn't (yet!) joined the commercial line-up, we've since introduced our exceptional K-6™ to the family, a perfect fit for our ever-popular six-pack packaging, which you can order right here on our site — in either the standard configuration (one of each sauce), or in the "Make Your Own" version, where you can mix and match as you see fit! You think you know hot sauce? Think again. K-Sauce takes a different approach than the typical vinegary, thin sauces you will find on the market. Fresh produce, the finest peppers you can find anywhere, and premium spices combine for thick, complex sauces that are designed to enhance any food with fascinating flavors. Hand-crafted in small batches, K-Sauce is all natural with no preservatives, artificial thickeners or colorings. 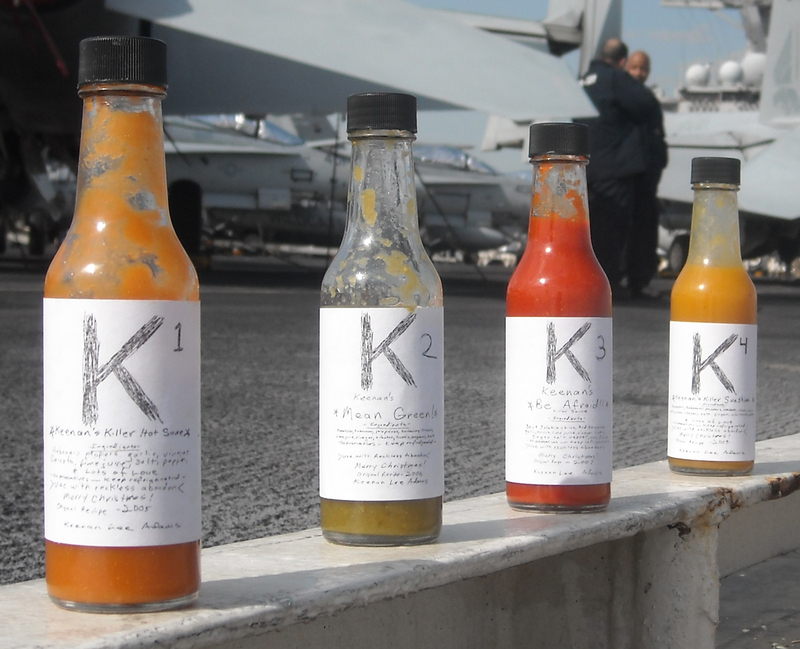 K-Sauce elevates hot sauce to a new level of refinement, and establishes a new category of hot sauces. Your kitchen won’t be the same without it!